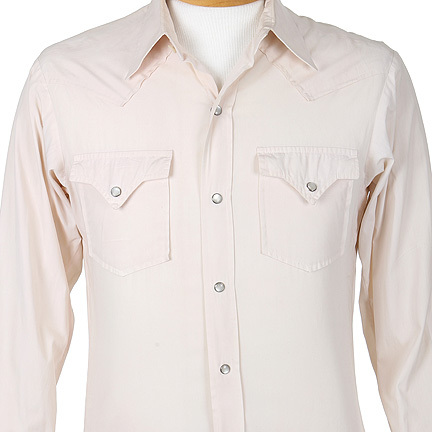 This shirt was worn by Peter Fonda during an appearance at the Santa Fe Film Festival in 1981. 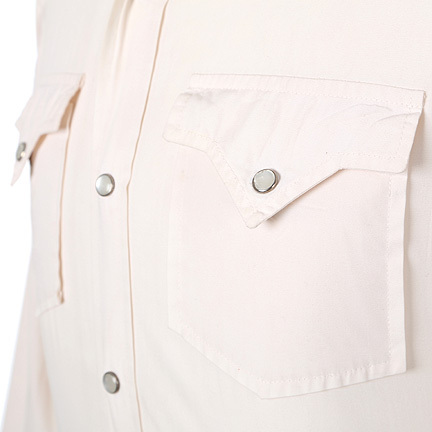 The custom made shirt is constructed out of a white cotton material with a western yolk front and back. 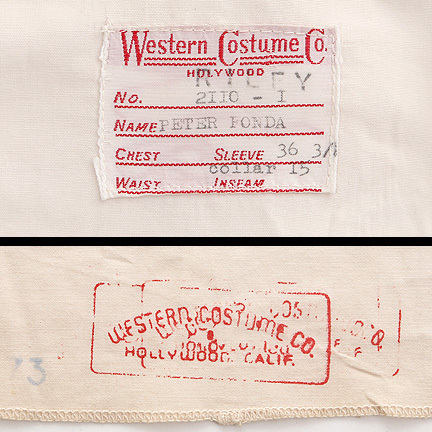 The Western Costume Company label includes the typed name, “Peter Fonda” as well as the name “Riley” which was most likely from a subsequent production. 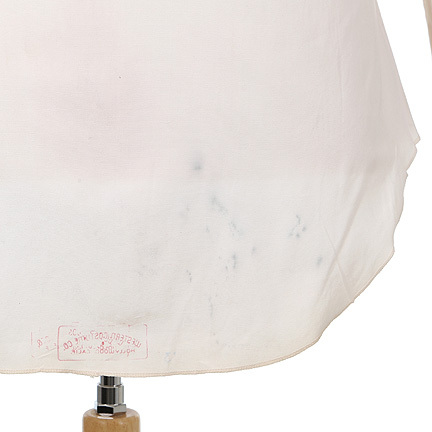 A Western Costume Company stamp is located inside the back of the garment. 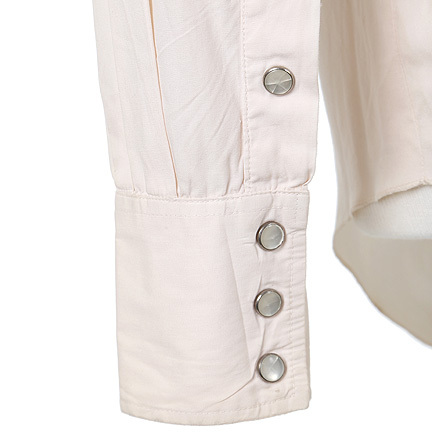 The print is included with purchase of this item. 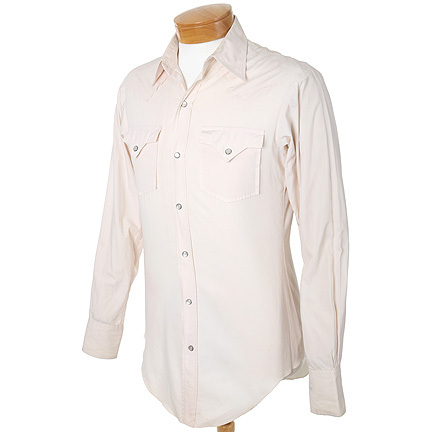 Mr. Fonda can be seen wearing this shirt with co-star Warren Oates and film historian William K. Everson at the Santa Fe Film Festival, which screened the “The Hired Hand” 10 years after it’s release. 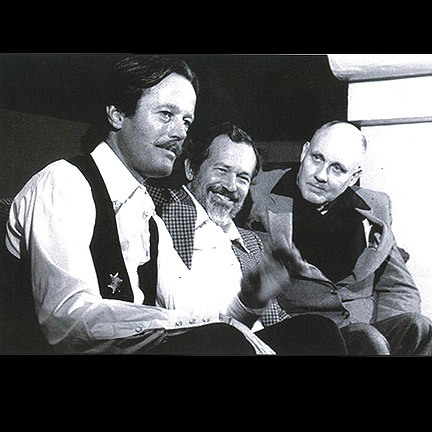 Mr. Fonda is sitting in a director’s chair on stage wearing a sheriff’s costume. 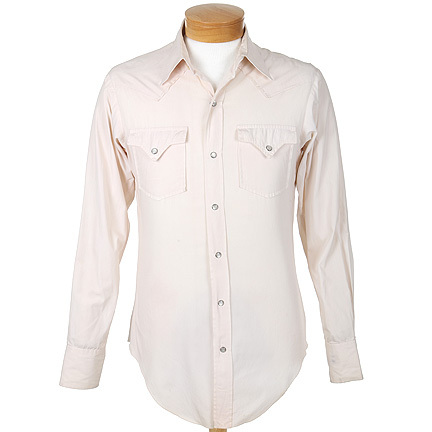 The Hired Hand is an American western film directed by Peter Fonda. It stars Mr. Fonda as “Harry Collings”, a man who returns home after drifting with his friend “Arch Harris” played by Warren Oates. 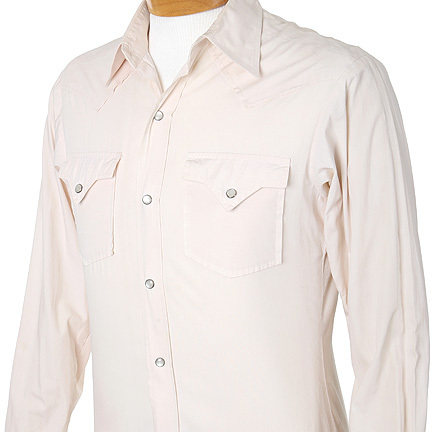 Harry’s wife reluctantly welcomes him back but only if he agrees to move in as a hired hand. 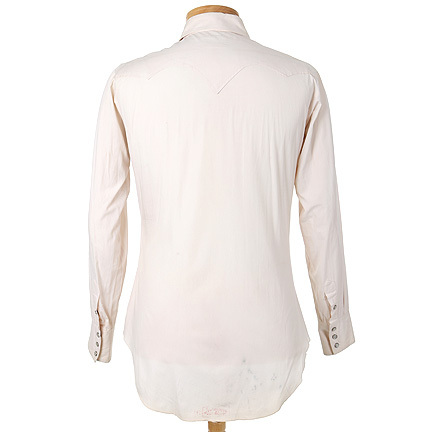 The garment is in good vintage condition with minor stains and is accompanied by a letter of authenticity from the costume house.